Hi everyone! 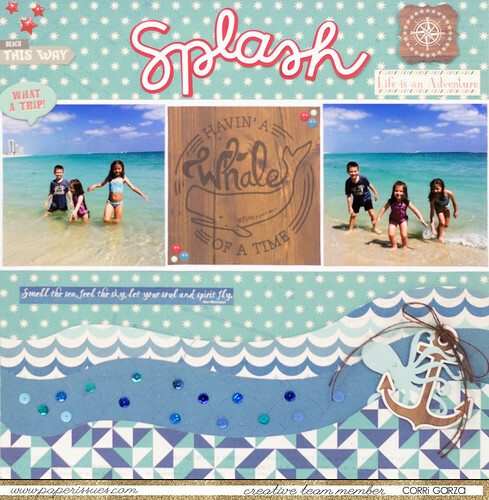 I'm up on the Paper Issues blog today sharing this layout I made of my kids at the beach. This was the first time any of us had been to a Florida beach and we are amazed by the beautiful water. The Treasure Map Collection from October Afternoon was perfect for these photos. I used my Silhouette Cameo to cut the waves from this file and this "splash" title. I created an offset in red for a pop of color. You can find this awesome paper in the Paper Issues Store....use the code CORRI to save 20%.